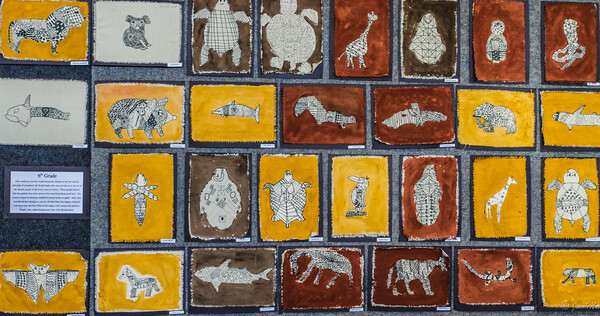 St. Justin School uses the Art Vistas Unlimited curriculum for all grades. Parent docents visit the classrooms several times during the course of the year to bring “mini exhibits” of great works of art into the classrooms and conduct easy-to-understand discussions with the children. This is followed by hands-on lessons that provide unique creative opportunities. Docents involved in the Art Vistas program enjoy working with children and seeing them grow in understanding and enjoyment of art appreciation and art history. With the knowledge and language gained from Art Vistas presentations, students can approach any work of art with a sense of confidence. They can discuss the artist’s use of color, line, shape, texture, and value. In addition, the students’ own artwork improves with the knowledge and hands-on experience gained from the program.